Versatile Indian critic and journalist Pankaj Mishra expands his portfolio significantly with his latest book,From the Ruins of Empire: The Revolt Against the West and the Remaking of Asia, a wide-ranging and frequently pugnacious history of the intellectual currents underpinning nationalist political movements in China, Egypt, Japan, India, Iran, Turkey, Vietnam and the rest of Asia from the late 1800s through the present day. 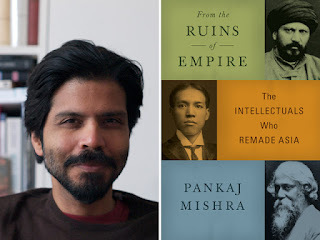 From the Ruins of Empire begins with the Japanese victory over the Russian navy in 1905, which Mishra considers a turning point in the history of modern world, one whose ramifications echoed throughout Asia and the Middle East. Russia's defeat, writes Mishra, proved to the subjugated peoples of the Middle East and Asia that the Western colonial powers were not invincible. From there, Mishra gives an alternative perspective on the making of the modern world through the intellectual and political journeys of three itinerant Asian scholars: the Persian Jamal al-Din al-Afghani, Liang Qichao from China andRabindranath Tagore from India. Published this week by Farrar, Straus and Giroux in the United States, the book highlights a variety of Asian responses to Western imperialism, ranging from the idea that Asia's subjugated peoples could be powerful again if they held true to their religious and cultural traditions to a belief in radically changing the old ways of thinking. As the book's latter pages make clear, these diverse anti-colonial responses spanning the past two centuries continue to shape contemporary changes in power dynamics throughout the Middle East and Asia. A frequent presence at Asia Society events, Mishra will discuss his new book at Asia Society Texas Center in Houston on September 26 and at Asia Society Northern California in San Francisco on October 2. 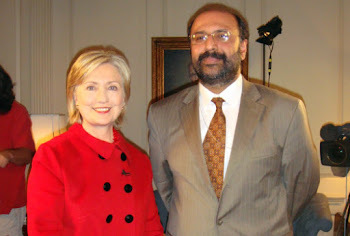 Mishra responded to Asia Blog's questions via email from London. What motivated you to write an Asian perspective on recent history? Is there still a need, in 2012, to counter a dominant Western narrative of modernity? It's not just an intellectual need. You only have to look at the bewildering transformations in the non-West today to realise they don't conform to a Western sense of the past or the future or meet Western expectations as reflected in newspaper commentary and foreign-policymaking of the last two decades. History has not ended, as was widely assumed after the collapse of communism. And globalization has not led to a New World Order organized around Western-style capitalism and democracy. 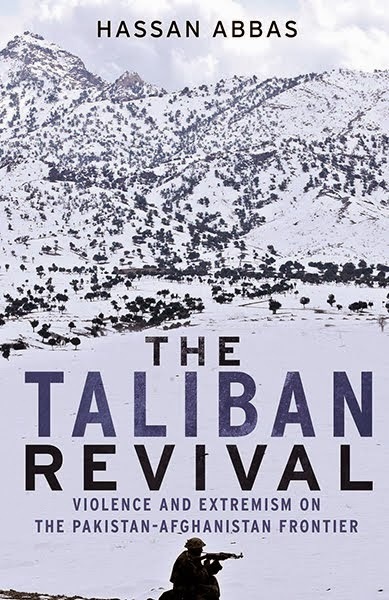 Parties with an explicitly Islamic orientation run Turkey, Iran, Egypt, and Tunisia; they remain popular in large parts of the Muslim world; the extremist Taliban are making a comeback in Afghanistan. The Chinese have achieved some astounding economic growth through state capitalism. India, which is often showcased as a Western-style democracy in Asia, is facing huge challenges of socioeconomic unrest and religious-ethnic secessionism. There has never been a greater need for multiple perspectives on global history — an alternative view to the conventional and narcissistic one created by Western interests, concerns and preoccupations. You focus on two intellectuals who are less well known in the West, the Persian Jamal al-Din al-Afghani and China's Liang Qichao. How did you first become acquainted with these two, and at what point did you know you wanted to develop the book around them? I had come across these two in various books over the years, but it was only when I started reading monographs about them that I realized they offered a unique perspective on their worlds — those of late 19th-century- and early-20th-century China and the Muslim world. These were unknown not only in the West, where people like Gandhi, Ataturk and Mao Zedong are much better known, but also to those of us in Asia who had grown up on nationalist histories. Were the anti-Western ideas of these intellectuals always well received within Asia itself? They were not anti-Western in a parochial sense. Both these thinkers and Tagore stressed the great need to learn from the West and were full of admiration for its manifold achievements in the arts and sciences. What they protested against was the idea of coercion built into Western imperialism and capitalism. What they were unwilling to do is overhaul and upend their societies according to Western dictates, or do so in order to match the specifications of their more Westernized colleagues who, while distrusting and despising the West, wanted to borrow the secrets of Western power — heavily armed and homogenous nation-states, for example. So they had to enter very fraught debates within their own societies about how to respond to the power of the West. You quote Jamal al-Din al-Afghani's 1879 speech in Alexandria where he argues that colonized peoples will find it "…impossible to emerge from stupidity, from the prison of humiliation and distress, and from the depths of darkness and ignominy as long as women are deprived of rights." Do we know if al-Afghani returned to or developed this theme later in his career? Was it taken up by any of the succeeding thinkers he influenced? Yes, this was a very important strand in the thinking of almost all the major Chinese, Muslim and Indian thinkers of the time. It was a very important part of their preoccupation with creating a self-aware and productive citizenry — one that could engage in a collective endeavor of self-strengthening against the West. And this had important ramifications. The Chinese Nationalists and Communists empowered women and campaigned against many oppressive practices such as foot-binding. Women participated in large numbers in the anti-British Egyptian revolution of 1919.